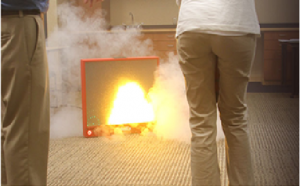 According to National Fire Protection Association (NFPA) data we will each experience five home fires in our lifetime. Alarmingly, 75% will go unreported. Since 2015, I have experienced two home fires. Both fires were successfully extinguished and were not reported to the fire department. Whenever, I visit my son in Toronto coffee is always prepared in a stove top Moka pot. This visit, I turned on the element, and left the kitchen to take a quick shower. As I stepped out of the shower the smoke alarm in the hall started to ring. My first thought was the coffee had boiled over and I needed to silence the alarm. I opened the bathroom door and was shocked to find an apartment full of smoke. From the distance, I observed the kitchen glowing a bright orange hue. I shouted to my son, he responded, acknowledging he was aware. I then silenced the alarm, and moved towards the kitchen. In the kitchen, I discovered a pot on the stove on fire, and the cabinets engulfed in flames. I instinctively turned off the stove, and covered the pot. I carefully moved the hot pot to the sink. I pressed on to deal with the burning cabinets. I attacked the blaze with a t-shirt quickly swatting it out. A 2017 Statistics Canada report on the performance of smoke alarms in 126,773 reported home fire-incidents examined the “non-presence of smoke alarms” and recognized a 60% increase from 9% missing in 2005 to 23% in 2014. Sadly, the OFM also reported 762 fire deaths from 2007 and 2016. Each year, WCMCI Fire & Safety consistently removes 100s of expired and non-performing smoke alarms from homes in the Ottawa region. 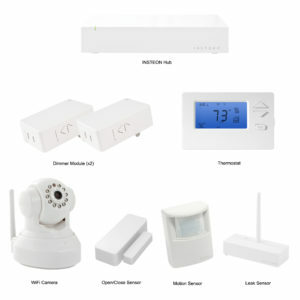 Additionally, we replace many missing, and disconnected units. In other situations, we discover batteries installed incorrectly and non functioning 10 year sealed units. We relocate devices to provide better coverage and to correct installations that are out-of-compliance with the Building and Fire Codes. Scorched, burnt and units failing SmokeCheck detector testing are removed and recycled as hazardous waste. Standard builder grade alarms are replaced with ULC approved battery backup units to ensure coverage is available during power outages. 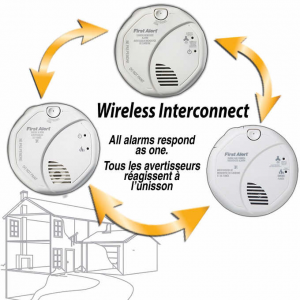 WCMCI Fire & Safety in the only company in the Ottawa area functionally testing residential smoke, and Carbon Monoxide senors with smoke and CO detector tester. UL research shows us 30 years ago, we had about 17 minutes to escape a home fire. Today, our escape time is now reduced to three minutes. With escape times being so critical smoke alarm performance knowledge is more important now than ever and should not be taken for granted. WCMCI Fire & Safety's services, are guaranteed to make Ottawa homes safer. To efficiently merge residential fire & safety expertise, training and smarthome technology to help create a safer home for families in the Ottawa region. WCMCI Fire & Safety Inc© - 2015.